Goldstein is a philosopher and novelist and is the recipient of numerous honors, including a MacAurthur Fellowship and membership in The American Academy of Arts & Sciences. 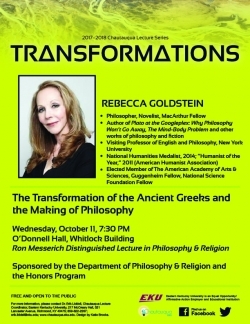 She is the author of several works of fiction and philosophy, including Plato at the Googleplex: Why Philosophy Won't Go Away and The Mind-Body Problem. 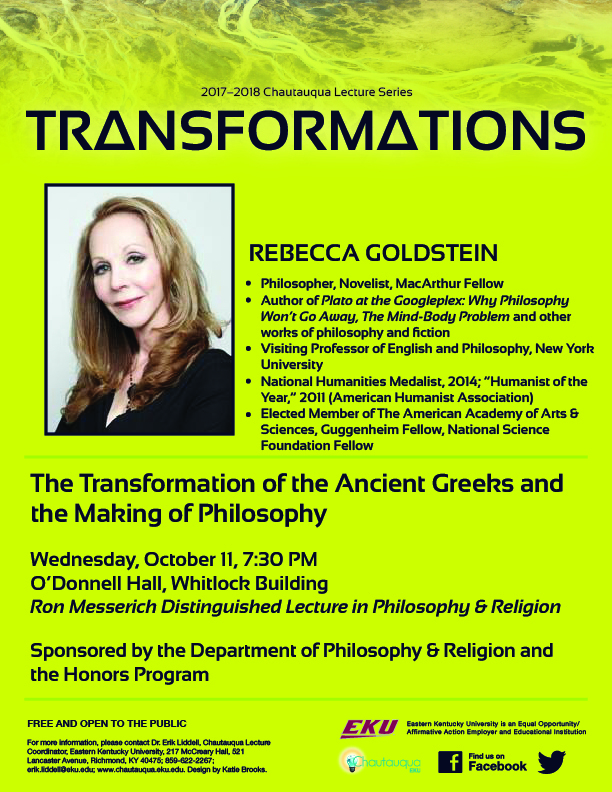 The title of her talk is, "The Transformation of the Ancient Greeks and the Making of Philosophy."